The labor group Partido Manggagawa (PM) today expressed alarm at new allegations of bribery hurled at top SSS officials. In the light of these, the group reiterated its demand for a stop to the planned hike next year in SSS contributions. “We view with increasing concern the worsening allegations of bribery and profiteering by top SSS officialls as the financial safety of the workers social security fund is at stake. We ask that labor groups be invited to the congressional inquiry to be called on the matter so that we can air our views and proposals,” declared Rene Magtubo. PM had earlier demanded that the proposed rise in SSS contributions be shelved pending the investigation of the scandal and internal reforms by the institution. The administration of President Rodrigo Duterte is pushing for annual hikes starting next year up to 2020 that will raise contributions from 11% to 17%. The House Committee on Banks and Financial Intermediaries is scheduled to conduct an inquiry. PM is also asking the Senate to initiate its own investigation. “We come across numerous abusive employers who do not remit contributions withheld from the wages of their employees. Non-remittance of social security contributions is a frequent complaint of workers. 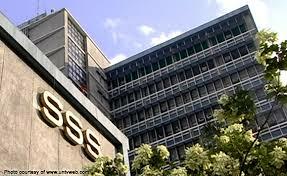 Not enough enforcement and remediation is being done by the SSS on this grave issue,” he insisted.